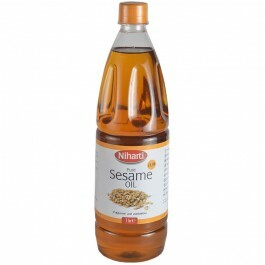 Niharti Sesame oil is 100% pure sesame oil obtained from best quality Sesame seeds. Sesame Oil isone of the lesser known vegetable oils, but is in fact one of the healthiest alternatives to normalvegetable oils. 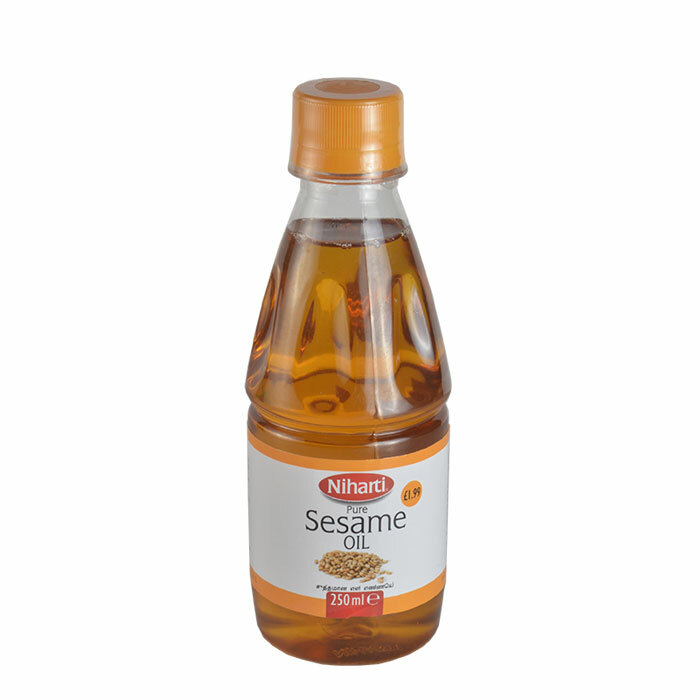 Sesame oil can be used in cooking, and it is most commonly used in Asian cuisines,including Chinese, Japanese, and Southeast Asian dishes, as well as Middle Eastern cuisine. Sesame oil has also been used as massage oil, due to its healthy effects on the body and itsbeneficial effects on the skin. It has a wide range of health benefits connected to it, which makessesame oil highly sought after, even as a carrier oil for various cosmetic products. Directions for use: Ideal for cooking, baking & dressing. Also great for massage & hair. 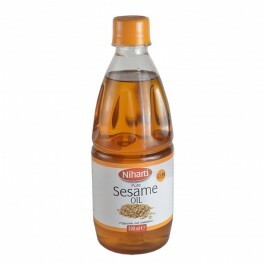 Niharti Sesame oil is 100% pure sesame oil obtained from best quality Sesame seeds. Sesame Oil isone..